Although considered the father of western medicine and famous for the Hippocratic oath, Hippocrates’ idea surrounding food as medicine seems to have been largely forgotten in practice. Unlike western medicine, eastern medicine relies heavily on foods with medicinal properties based on thousands of years of knowledge. Eastern medicine uses herbs, spices, vitamins, and certain foods as medicine to tackle all sorts of diseases, sicknesses, and infections. Entire books have been published on these foods and their properties (Food as Medicine, The A-Z Guide to Food as Medicine), but we are going to home in on a few foods that act as strong anti-inflammatories and are therefore extremely useful and important for autoimmune patients (1). Foods that are rich in omega-3 fatty acids and key vitamins, and foods that act as antioxidants are good candidates for decreasing inflammation in the body. Although many foods fit the bill, we have highlighted some of the foods richest in these components. Our 8 immune boosting foods are: turmeric, ginger, green leafy vegetables, berries, flax and chia seeds, walnuts and almonds, olive oil, and salmon. Click on each food to view the screen shot, then click on the image again to get a full size view. Nerd alert: check out our expanded bibliography for these foods for autoimmune health. In addition to focussing on consuming these anti-inflammatory foods, there are also pro-inflammatory foods that should be avoided. These pro-inflammatory foods include processed meats, sodas, salty snacks, packaged sweets, and refined carbohydrates. Unfortunately, these foods are also easy choices when stress eating or snacking. If you suffer from an autoimmune disease, these types of food are likely to intensify any symptoms you’re already experiencing. By exploring your different dietary options, learning about the natural immune benefits of certain foods and the potentially harmful effects of other foods, you can take control of your diet and optimize your immune health! Explore the whole Food Matters series here! Check out the expanded bibliography on our foods for autoimmune health! “Anti-inflammatory Diet: Road to Good Health?” WebMD. https://www.webmd.com/diet/anti-inflammatory-diet-road-to-good-health#. Watson, Kathryn. 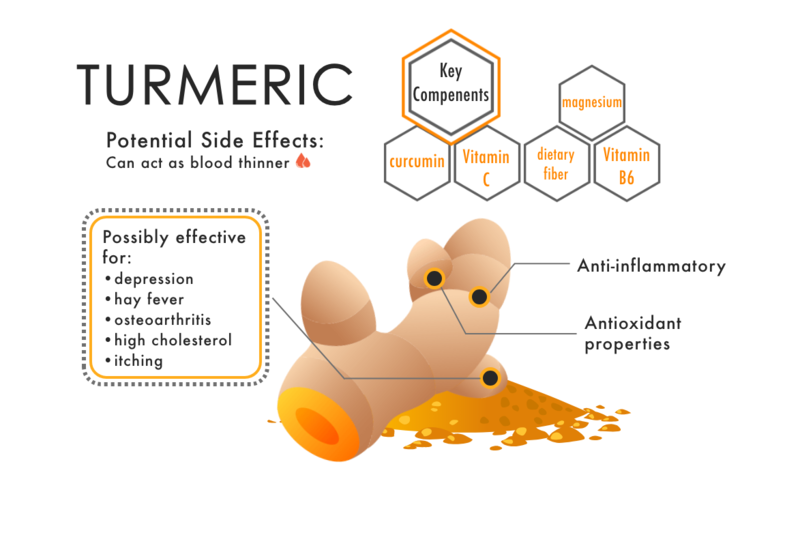 “Turmeric side effects: Health benefits and risks.” https://www.medicalnewstoday.com/articles/318405.php . Aggarwal, Bharat; Harikumar, Kuzhuvelil. “Potential therapeutic effects of curcumin, the anti-inflammatory agent, against neurodegenerative, cardiovascular, pulmonary, metabolic, autoimmune and neoplastic diseases.” The International Journal of Biochemistry & Cell Biology. Vol 41(1). 2009. 40-59. https://www.sciencedirect.com/science/article/pii/S1357272508002550 . “Common Ginger, Root Ginger.” Lovethegarden.com. https://www.lovethegarden.com/plant-finder/perennials/common-ginger-root-ginger . Prakash, Jamuna; Pilerood, Shirin. 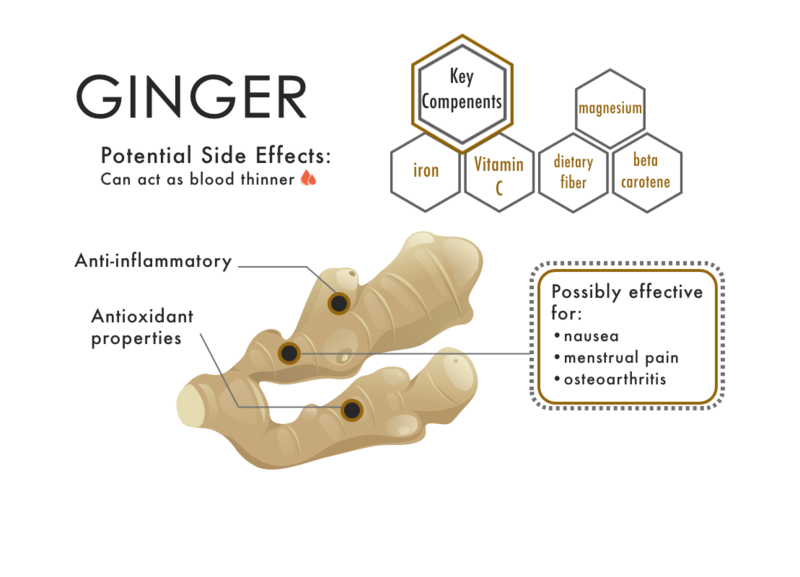 “Chemical composition and antioxidant properties of ginger root (Zingiber officinale).” Journal of Medicinal Plant Research. Vol. 4(24). 2010. 2674-2679. https://www.researchgate.net/publication/228476601_Chemical_composition_and_antioxidant_properties_of_ginger_root_Zingiber_officinale . “Various green leafy vegetables in row on white background.” 123RF. https://www.123rf.com/photo_53308721_various-green-leafy-vegetables-in-row-on-white-background-top-view-point-.html . Tufts, H. et al. 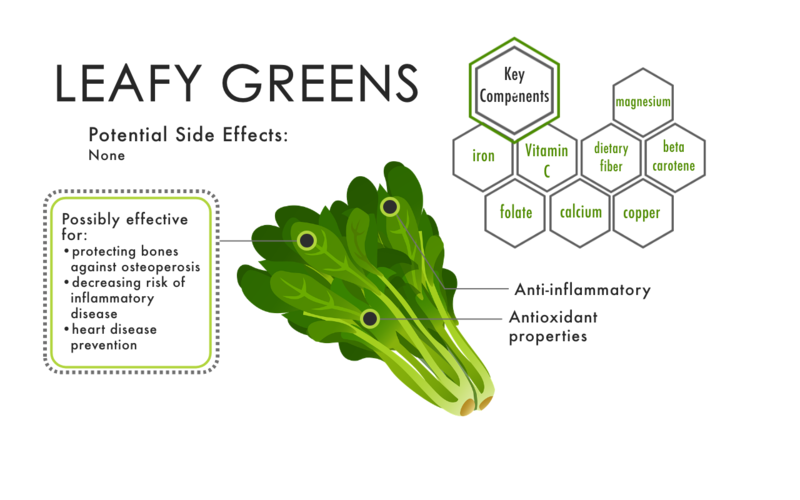 “Antioxidant and Anti-Inflammatory Activities of Kenyan Leafy Green Vegetables, Wild Fruits, and Medicinal Plants with Potential Relevance for Kwashiorkor.” Evidence-based Complementary and Alternative Medicine.2015. https://www.ncbi.nlm.nih.gov/pmc/articles/PMC4510108/ . “Berry Fruit Salad.” Gimme some Oven. https://www.gimmesomeoven.com/berry-fruit-salad-recipe/ . Joseph, SV. et al. 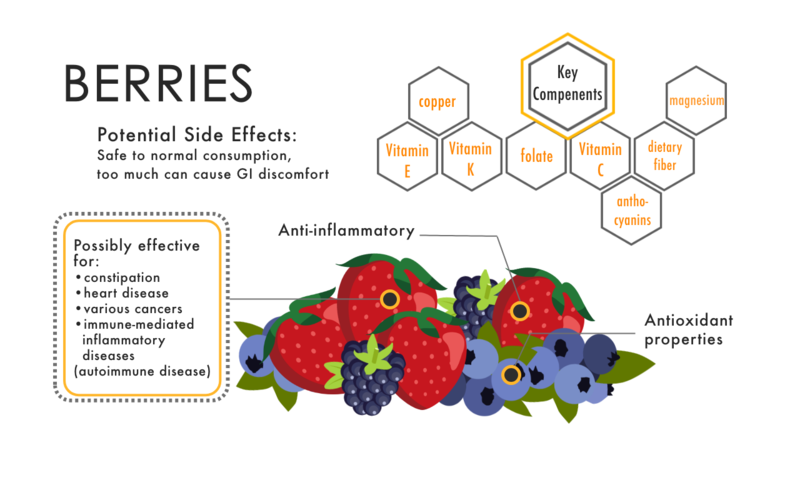 “Berries: anti-inflammatory effects in humans.” Journal and Agricultural and Food Chemistry. 2014. https://www.ncbi.nlm.nih.gov/pubmed/24512603 . “Flax and Chia Seed Benefits.” Zen Breakfast Blend. 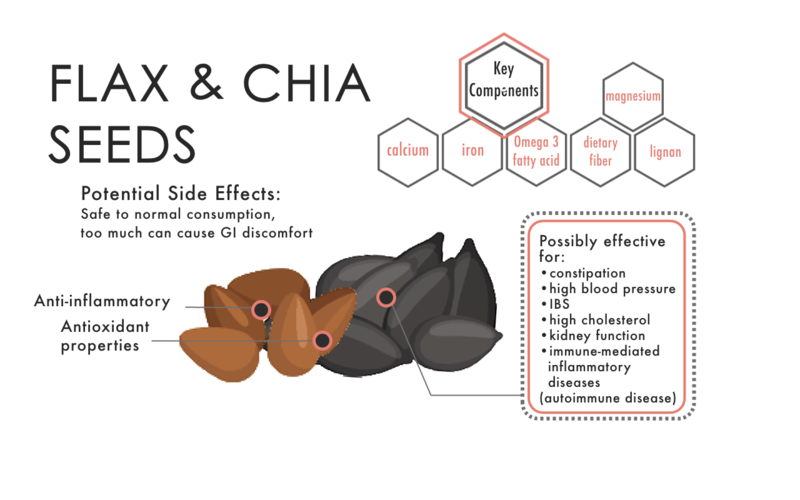 https://www.zenbreakfastblend.com/pages/flax-chia-seed-benefits . Taga, M. et al. “Chia seeds as a source of natural lipid antioxidants.” Journal of the American Oil Chemists’ Society. Vol 61(5). 928-931. https://link.springer.com/article/10.1007/BF02542169 . “Why You Should be Eating More Almonds and Walnuts.” One Green Planet. 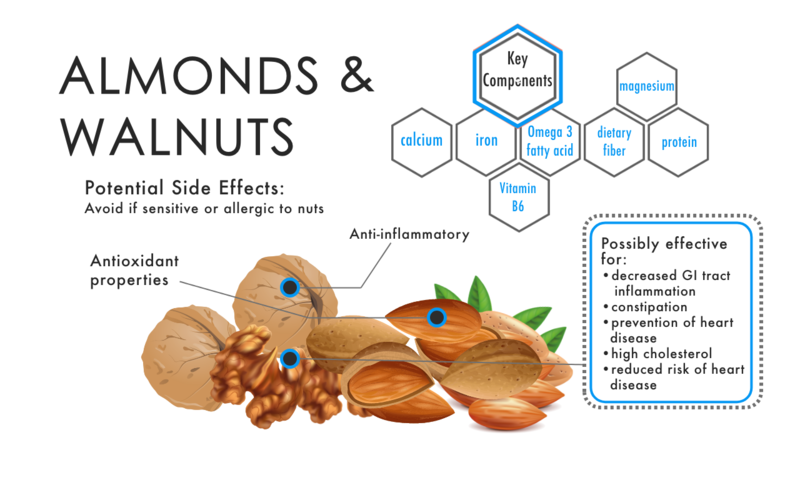 http://www.onegreenplanet.org/vegan-health/why-you-should-be-eating-more-almonds-and-walnuts/ . Yu, Zhi et al. “Associations between nut consumption and inflammatory biomarkers.” The American Journal of Clinical Nutrition. Vol 104(3). 2016. 722-728. https://www.ncbi.nlm.nih.gov/pmc/articles/PMC4997300/ . “Is it safe to cook with olive oil?” Chris Kresser. https://chriskresser.com/is-it-safe-to-cook-with-olive-oil/ . Santangelo, C. et al. 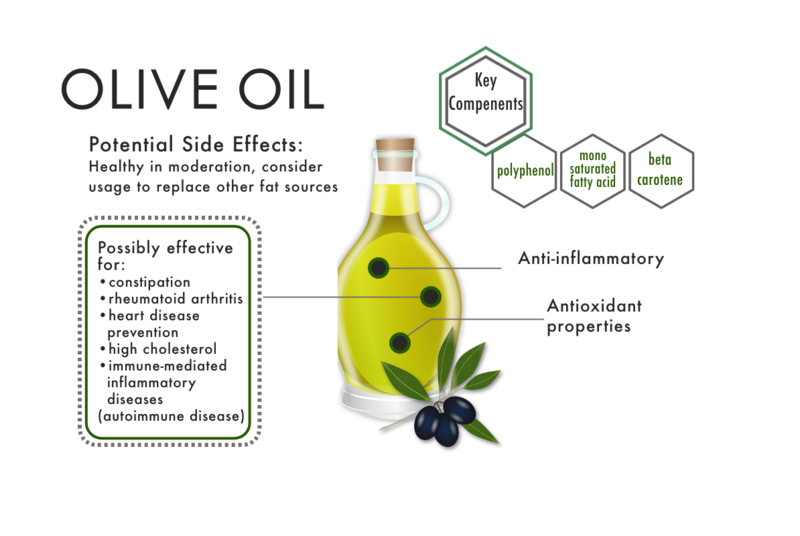 “Anti-inflammatory Activity of Extra Virgin Olive Oil Polyphenols: Which Role in the Prevention and Treatment of Immune-Mediated Inflammatory Diseases?” Endocrine, Metabolic & Immune Disorders Drug Targets. Vol 18(1). 2018. 36-50. https://www.ncbi.nlm.nih.gov/pubmed/29141574. “Alaskan King Salmon 20lbs.” Tanner’s Alaskan Seafood. https://www.tannersfish.com/product/alaskan-king-salmon-20lbs/ . Ahn, Chang-Bum et al. 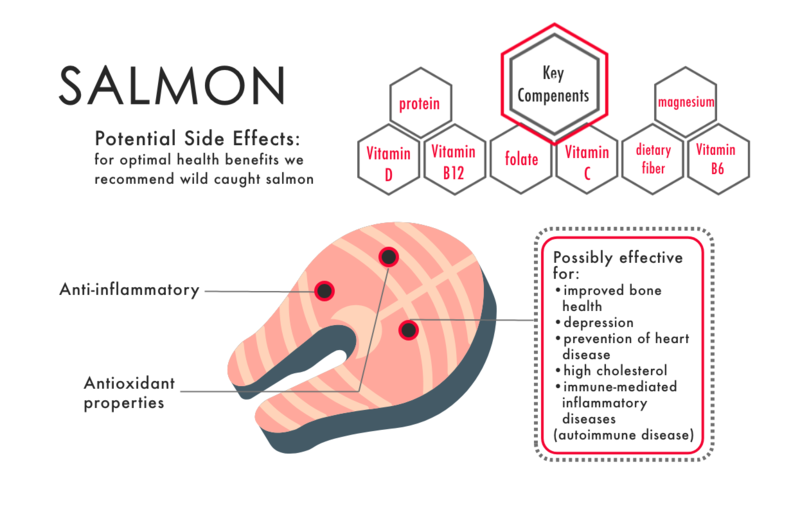 “Antioxidant and anti-inflammatory peptide fraction from salmon byproduct protein hydrolysates by peptic hydrolysis.” Food Research International. Vol 49(1). 2012. 92- 98. https://www.sciencedirect.com/science/article/pii/S0963996912003109 . I don’t believe that organic lard is inflammatory. I also think that nuts need to be soaked overnight to reduce their toxic effects and seeds could be avoided for similar reasons. I don’t think most of us need to further activate our immune system; we need to feed it with healthy dirt and keep it occupied. Great insightful comment! Happy you have found some techniques that work best for you! Depending on you and your symptoms, variations on these guidelines will be necessary and useful. Soaking nuts and seeds is definitely helpful for some people, although others may find they can consume them without that extra step. Feeding ourselves “healthy dirt” rich in probiotics is definitely part of the picture, but these anti-inflammatory and antioxidant filled foods will help calm down your immune system to help reduce symptoms and flare-ups.